​Cambodia is an adventure into a culture anchored on Buddhism, an ancient empire healing itself of its recent rift and a people responsive to development. ​We had been back and forth to Cambodia since 2002 on different contract adventures working with either the Ministry of Labour, Vocational Training or the Ministry of Education or directly with the Asian Development Bank. Over the past two years, with a hint of semi permanence, we have taken a 3 bedroom apartment so families and friends can visit. Before this, we hid mostly in local hotels as we only stayed for 3 or 5 months and then off to another country for another contract. The influx of visitors has been fun as the long journey firewalls the high maintenance types and brings in those who have learned the difficult art of being good guests. 2015 and we're back again after a 3 year stint in Vietnam. 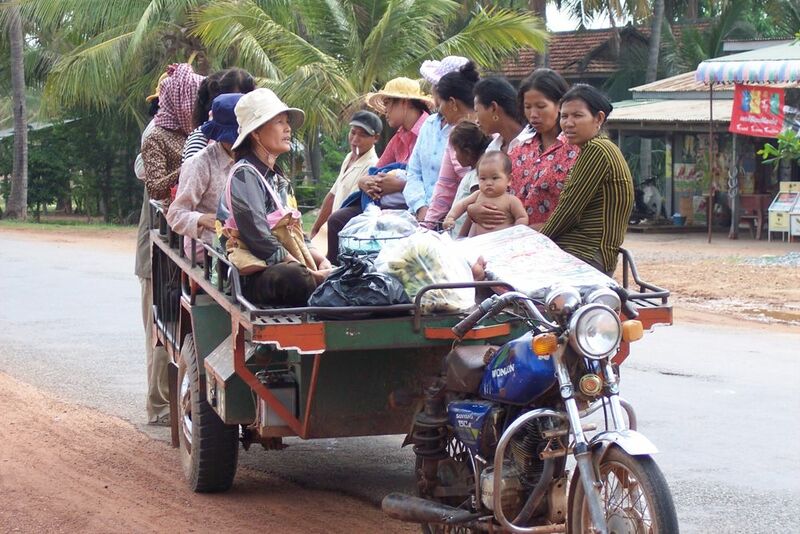 Cambodia is building momentum as a developing country. Some of its major institutions are just beginning to function more effectively as the next generation masters the skills lost in the massive Pol Pot extinction effort of the recent past. While the trials still remind us of what happened in Cambodia at its darkest hour in history, the Pol Pot era, the temples and rites remind us of its glory when the Khmer Empire was at the height of its power in the area now mostly covered by Indo-China. 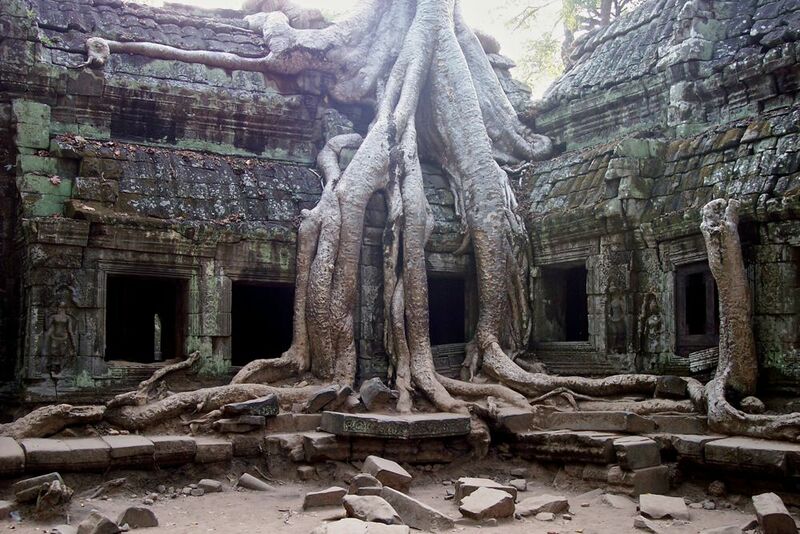 ​There is a wealth to be experienced in Cambodia. It is because of these myriads of experience that many foreigners who had been to Cambodia choose to stay. 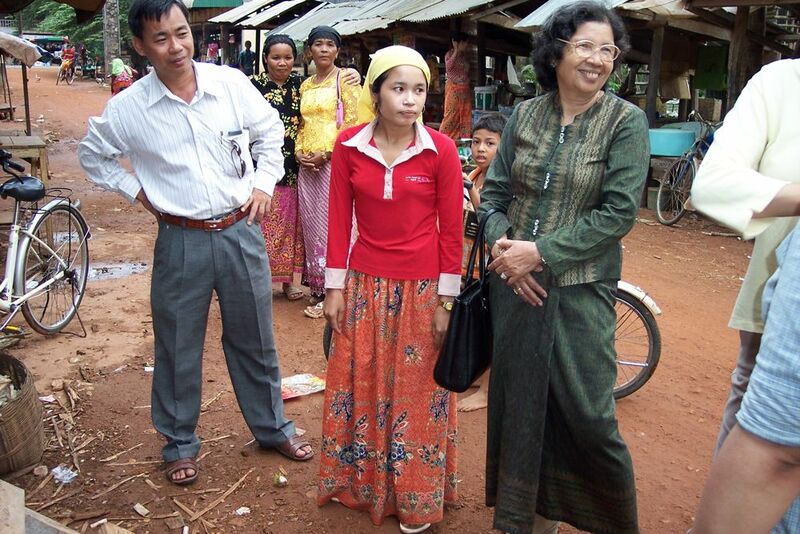 ​Cambodia's majority population are the Khmer who are Buddhists. There are other groups as well such as the Moslems and the minority tribes but the national religion is Theravada Buddhism and this is the foundation of most of Cambodia's national celebrations and festivals.To understand Cambodia and its people better, you need to start with this book. One of the highlights of our stay in Cambodia is having a monk friend. We once entered a temple during a special celebration and, given that our faces showed complete ignorance of what was happening, a young monk studying in one of the local universities took pity on us and explained the ceremony. ​Since then, we would pick him up in our walk to our breakfast haunt. Being a student, he always had assignments he needed to discuss with us. In return, he answered all of my questions about many of the local ceremonies and practices. This really enhanced our understanding of Cambodia. ​Little did I know that I am very ignorant about Buddhism. Even if somewhere in my mind resides Mahayana Buddhism, I have no memory of Theravada Buddhism. It was just Buddhism as far as I was concerned until I met our monk friend who patiently explained to me the distinguishing features of the type of Buddhism practiced in Cambodia. I learned so much from this encounter which started when once we were driven by our curiosity to find out what was happening inside the temple during one of the important celebrations. We went in and a monk took pity on us and enlightened our ignorance of what was going on. Since then, we meet him regularly and the sharing is often very lively. Although I have studied Asian history and civilization, I was not prepared for what I saw in Angkor. I was amazed to see how advance the water systems were and how enlightened its leaders were around 12th century and even earlier. 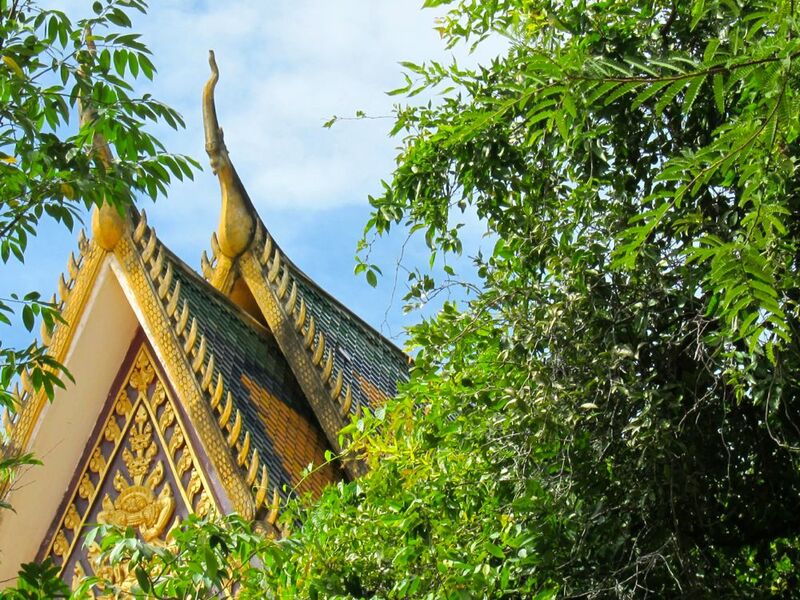 ​It was an experience to see how developed Cambodia was at that point in history especially when one sees the intricate architectural styles used in the temples. My mind tried to have a vivid picture of how life was lived in that enormous complex we see now. It must have been magnificent. This Kingdom once ruled parts of what is now Thailand, Laos and Vietnam. It is one of the most interesting influences in the culture in this part of the world. There is nothing like Angkor Wat and the Angkorian temples in Siem Reap. It is indeed a world heritage. This massive temple complex just blew my mind the first time I saw it. Even if I have studied this in history, my imagination had not matched reality. What a marvel it really is. Before you go, read a bit about the Angkor period in history as this will serve as a back ground from which to view the Angkor temples. My husband sometimes come here and just quietly sit in a corner and let his imagination recreate how Angkor must had been at its peak. ​In the past, Cambodia was a great empire. It built the world famous Angkor Wat that today shows how advanced the Khmer were at that time. In the more recent past, Pol Pot and the Khmer Rouge brought about a division in the country that today is still unresolved as the trials continue. Read this very interesting history of a once mighty power over most of what is now the Mekong area. No other historian has focused on Cambodia more intensely than David Chandler. Having lived in the country, he understands Cambodia's history in its context. Having done substantive research on Cambodia, he is an authority on its history. ​We have been in most parts of the country visiting villages to find out what local folks want in the way of development. Our main involvement is in designing systems and programs in education and skills development. Our first recommendation centered around community responsive skills training. Given the level of the country's development, the demand for very basic skills is astounding. Imagine what happens when electricity arrives, or the concept of market choice or a road for motorbikes. Villagers are happy that now they are learning the first platforms of science to improve agriculture production and earn a little bit of money to have a better quality food and a pride building house for their families. When the notion of hope for tomorrow replaces in part the enormous fear from the past, rural family power is unprecedented. We have spent years in development work before going to Cambodia but it was really here that we saw how community responsive development engages people and how strong is its impact on the rural population. It is important to drive development down to the remote areas to stop people from flocking in urban areas to find employment. As this creates more social problems that drain the country's resources. 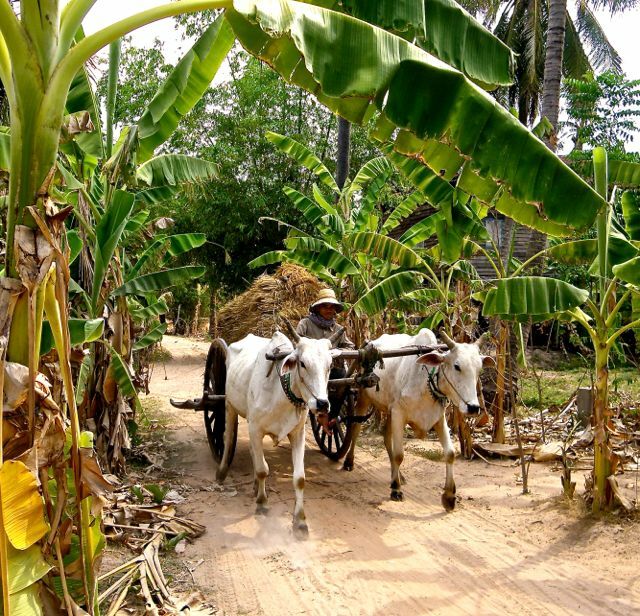 80% of Cambodians live in the rural areas right now so development has to target this segment. ​It is not only the villagers who are growing. The government is also growing in its capacity to involve people and the private sector as well as in their application of new learned skills and knowledge from all the mini-training, workshops and seminars offered right in the rural communes. There is growth and as in many other countries, the enterprising ones take hold of these new opportunities and establish themselves quickly. The others sometimes become the walking wounded of well-intentioned but poorly planned development. In the past several years, Phnom Penh's landscape has changed along with that of Sihanoukville, Siem Reap and Battambang. Even the remote provinces are now getting on the development truck fast as tourists, investors and Cambodians themselves visit their once inaccessible areas. As food and resource panic hits rich neighbours, plantations are sprouting like mushrooms in the backwoods and new mines are opened. Garment factories have moved in to take advantage of cheap labor. And with these are the social problems that accompany most development such as exploitation of labor and women, the lack of protection for vulnerable sectors of society and human rights but also the expansion of non-government and charitable organizations, some of which are more interested in being noticed than helping out. Balancing development priorities is nearly impossible, only continuing compromises are possible as development continues. 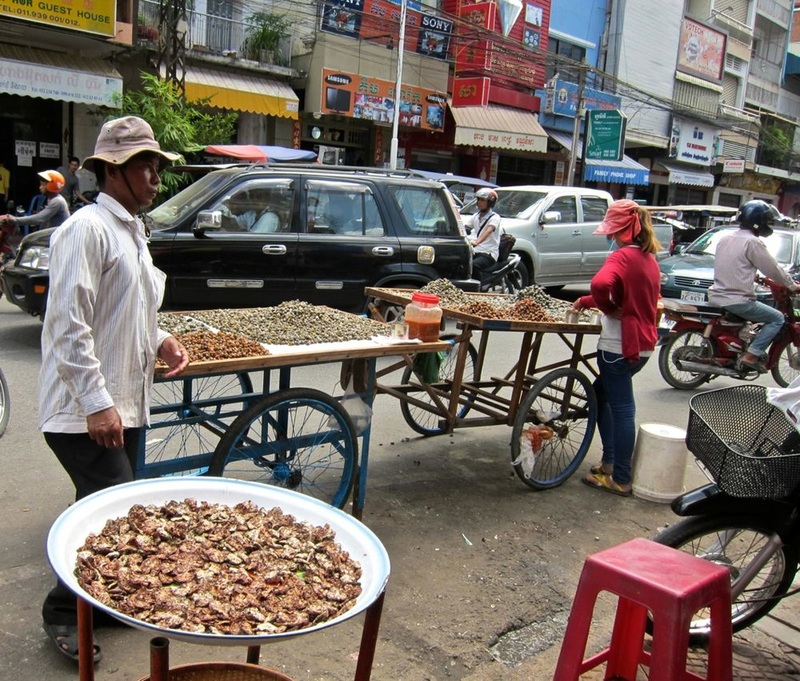 Get off the tourist road and experience more of Cambodia. Now that more roads connect the formerly inaccessible places in Cambodia, go beyond Angkor Wat. 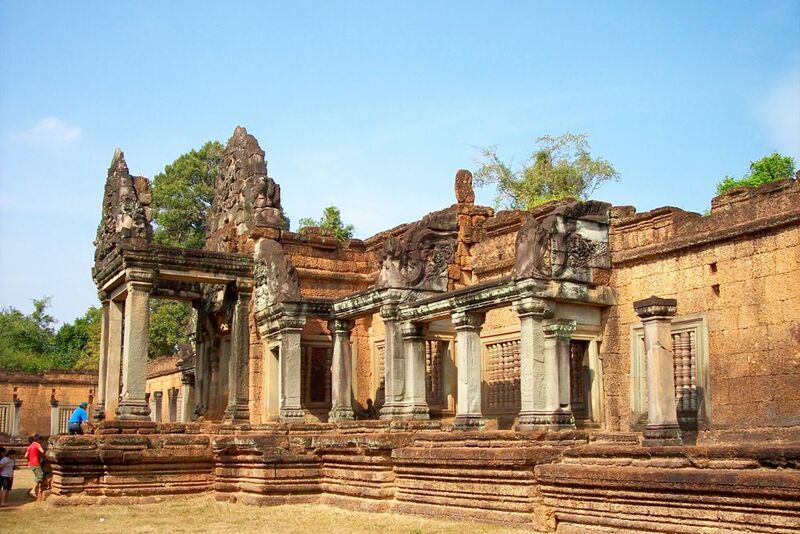 There are many more Angkorian temples to explore. Just make sure you go only in areas already cleared of land mines. Remote Places in Cambodia - Go elephant trekking in the jungles of Mondulkiri. Or, in Siem Reap, Ratanakiri or even right in Phnom Penh where you can ride Sambo, the Elephant around the oldest wat, Wat Phnom. With the improvement of roads in Cambodia, one can now reach easily places like Mondulkiri, Ratanakiri and some of the border crossing to Thailand, Laos and Vietnam so those remote areas no longer remained isolated. Tourist buses are no longer unfamiliar to the locals. 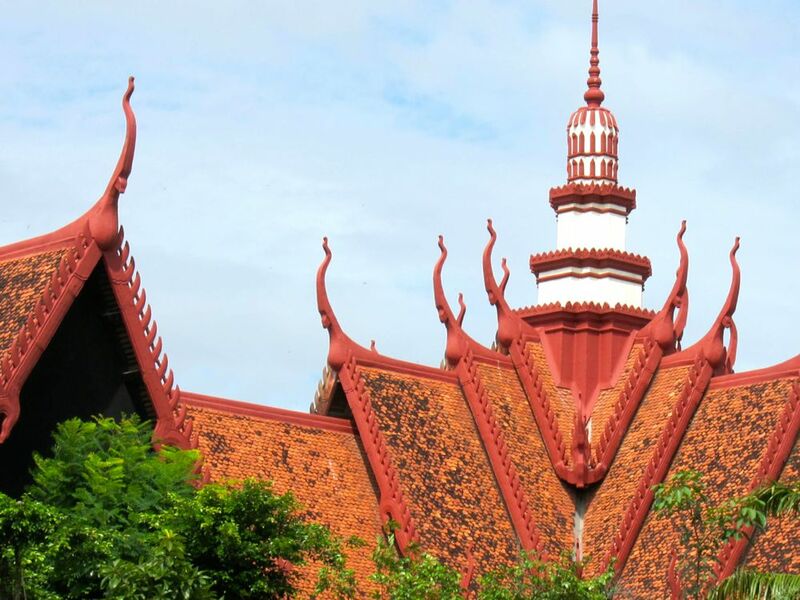 ​Still, Cambodia continues to build its charm as the once touted Paris of the East. 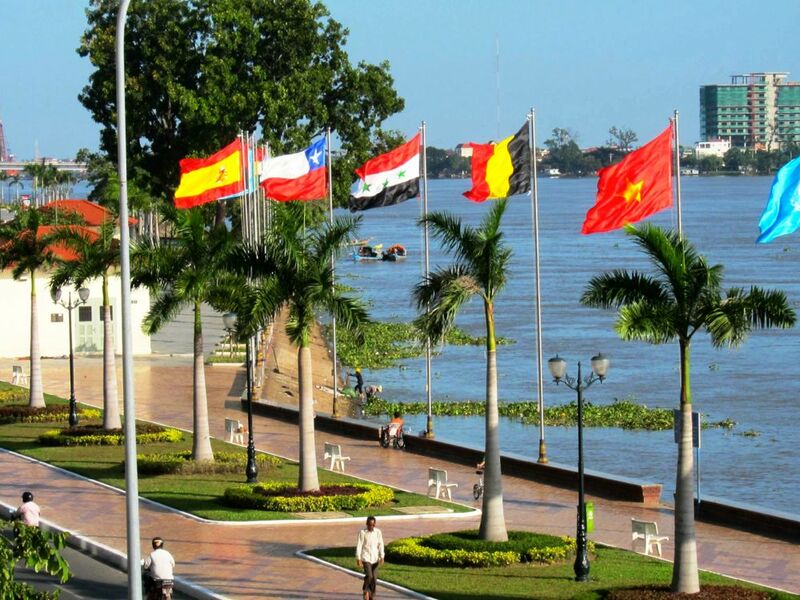 Phnom Penh, its capital city, has wide open boulevards that skirt around the confluence of three great rivers. Hotels, guest houses, restaurants, wine bars and fashion houses are opening every day. For many foreigners a 3 day stopover between Bangkok and Ho Chi Minh becomes a long term vacation destination as the warmth of the people, the beaches, the fabulous monuments of history as well as a scintillating night life, and really manageable costs make it almost perfect for Barangs. ​With luck and good advice, the lessons from the development in other emerging countries will push Cambodia's development planners to choose directions carefully so that all can share in the emergence of this country into its place in the world. This book is a first hand account of a Cambodian who walked with her family when the Khmer Rouge emptied Phnom Penh to bring the city folks to the rural areas for re-education. Her story, which is typical of most families in Phnom Penh at that time, brought tears to my eyes.